Okay, so I have to admit. This is a crazy shot. 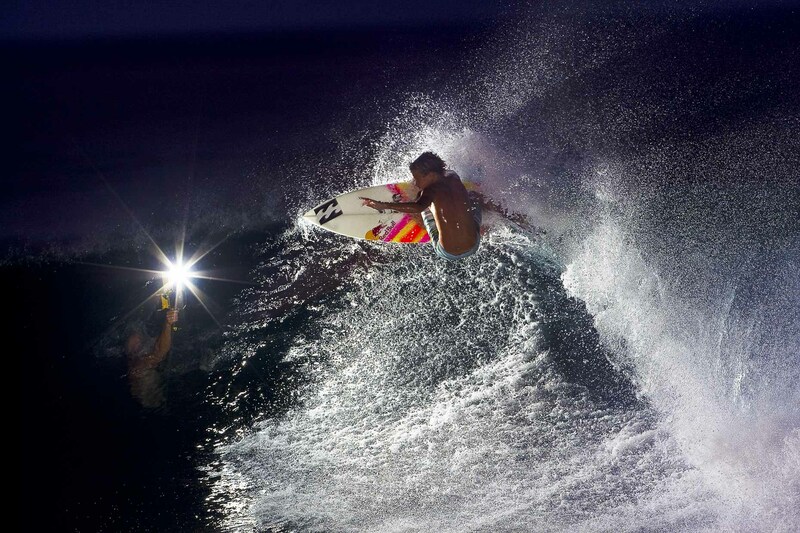 Dave "Nelly" Nelson and Chris Burkard were doing a job together working with strobes. They were both in the water and I happended to shoot this at the exact time those guys pushed their shutter button. This was a one in million shot.